Multiple times while using iTunes I had accidentally purchased a song twice not knowing that I had it before. 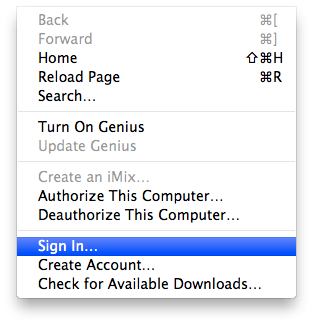 To do this there are multiple quick and easy steps to this starting with opening iTunes and signing in. After that click on “Store” on the top and then click “View my account:_____.” Then click on the “Purchase History” and in the top section under “Latest Purchases” you will see a list of your recent purchases. On the right side of the item you purchased, the link “Report a Problem” will be there and it will bring you to the Apple iTunes Support website. From there you can select your problem and it will bring up things that you can do to fix the problem or you can email Apple’s iTunes Store Customer Service. What do you think? Leave a comment below and let us know how it worked? Â Thanks for the trail – I got so far then found there was no option to write “My concern isn’t listed here”.